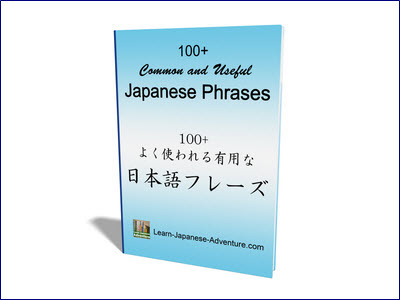 This lesson will explain how to use the Japanese grammar かどうか ka dou ka to combine two sentences into one, where the first sentence is a Yes/No question. However, if a question word like なに (nani) or どの (dono), etc is used in the first sentence, the particle か ka will be used instead to connect the two sentences. Meaning: Please tell me whether Ms Tanaka is pretty (or not). Meaning: Do you know whether our teacher is going back to Japan next year? Meaning: I don't know whether Mike can speak Japanese (or not). Meaning: Please tell me whether you have watched that movie (or not). Meaning: Do you know whether the ramen is delicious (or not). Meaning: Please ask John whether he like soba (or not). Meaning: I don't know whether the school is off (or not) today. Meaning: I want to know whether there was rain in Tokyo (or not) yesterday. For no. 4 and 5, remember to remove the だ (da) after 好き (suki) and 休み (yasumi) since they are na-adjective and noun respectively. However for no. 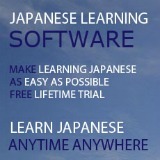 6, you are not required to do so since the plain-form of the noun 雨 (ame) is in past tense. Meaning: Please tell me when is your birthday. 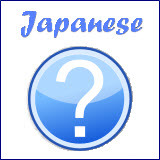 The question word in the first sentence is いつ (itsu), which means "when". So how can you combine the two sentences? Just replace かどうか with か as in the above sentence patterns. Meaning: Do you know what time is it now? Meaning: Please ask which camera is good. Meaning: I am thinking what to eat tonight.